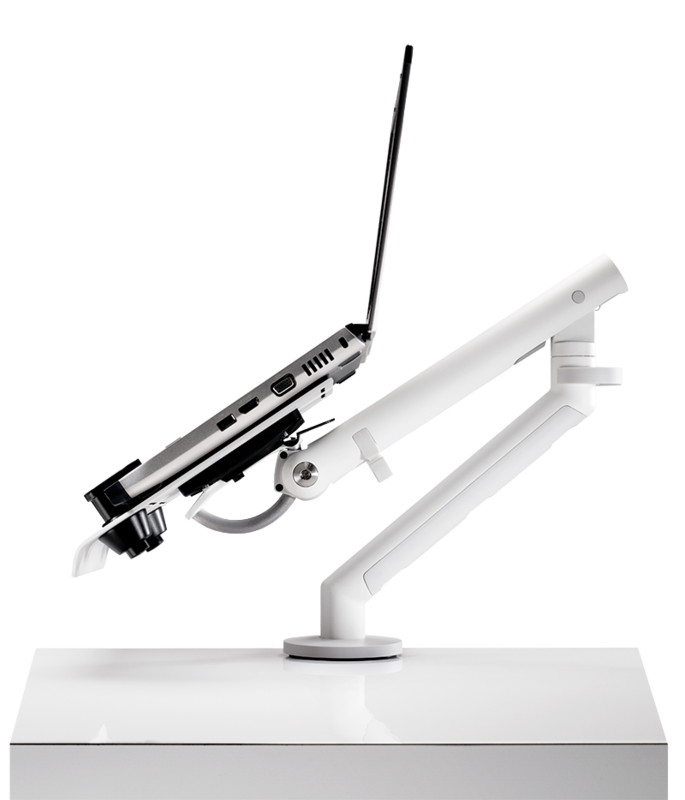 CBS Laptop Mount integrates with the Flo monitor arm and raises the laptop off the desk to suit the height of the user, whilst creating additional space on the desk. This system brings more to your environment than a laptop holder; it allows for enhanced versatility, promoting an easily alterable structure to suit the needs of an adaptive modern business. 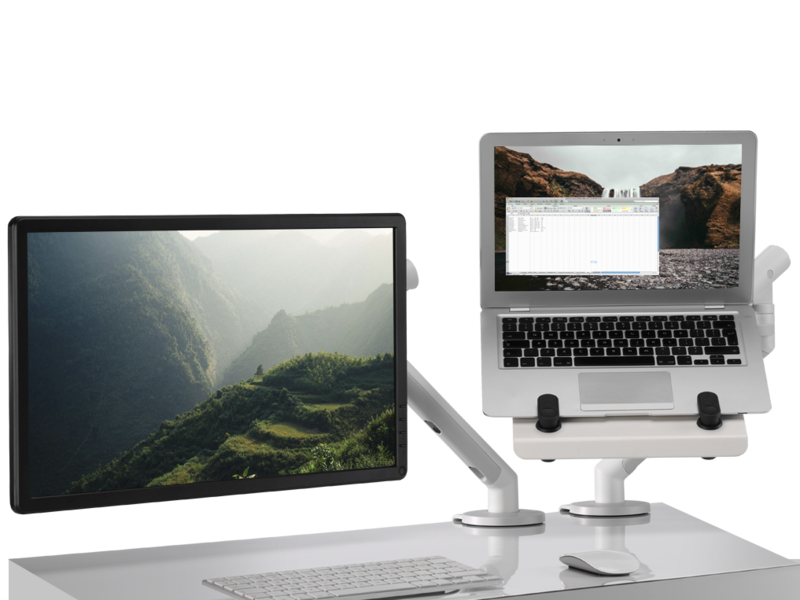 CBS Laptop Mount, coupled with Flo, can work as a single screen in an ergonomic setup, or it can be combined with another screen. This customisable structure allows mobile/hybrid workers to use their laptop as a secondary screen when in the office, improving ergonomics and efficiency through simple, understated laptop holder design. How we structure our surroundings can have a resounding effect on our ability to work efficiently. CBS Laptop Mount provides an improved ergonomic solution in the office or home. 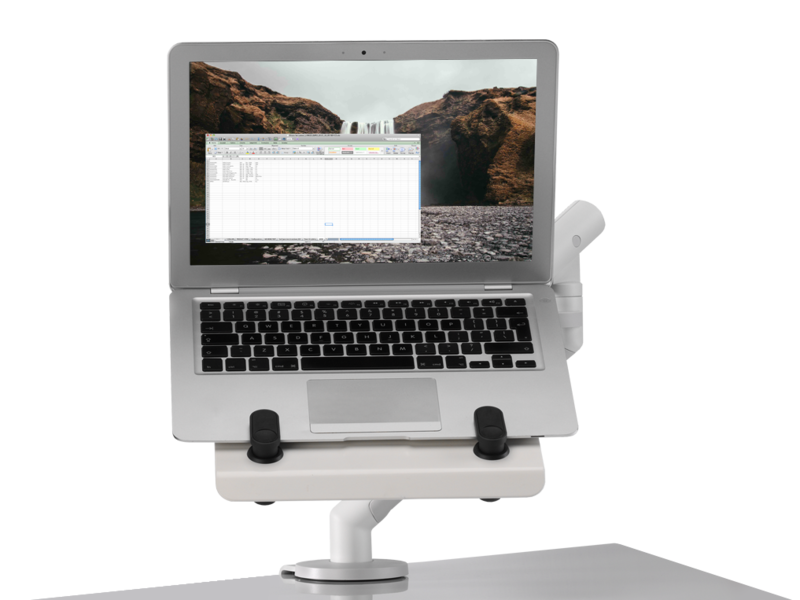 When used with an additional mouse and keyboard, the CBS Laptop Mount ensures the user is sat ergonomically and can work in comfort for longer periods of time.